Less than ten days after Super Typhoon Mangkhut battered the Philippines and southern China, another powerful tropical cyclone is churning through the western Pacific Ocean. Super Typhoon Trami, seen here from the NOAA-20 polar orbiting satellite at 12:23 a.m. EDT September 24, could threaten parts of Taiwan and Japan's Ryukyu Islands later this week. About eight hours after NOAA-20 captured this image of the storm, Trami's one-minute sustained winds had reached 150 mph —the threshold at which the U.S. Joint Typhoon Warning Center considers a tropical cyclone to have achieved "super typhoon" status. Trami first developed as a tropical storm on September 21, but quickly strengthened as it moved across the warm waters of the Philippine Sea. 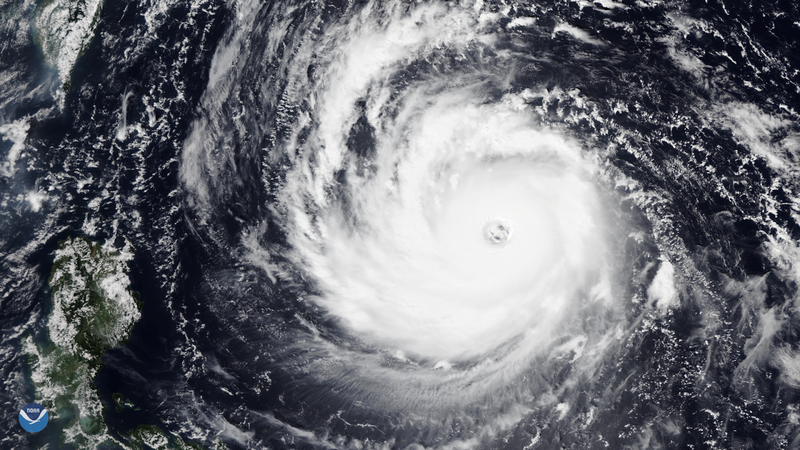 Over a 24-hour period ending September 23, Trami had morphed from a tropical storm with 65 mph winds to a dangerous Category 4 tropical cyclone with winds of 130 mph. Forecasts show Trami's peak winds may reach Category 5 intensity (157 mph or greater) over the next 24 hours as the storm moves west-northwest into the warm waters of the East China Sea.